Tommy hard at work on his elaborate hero story. 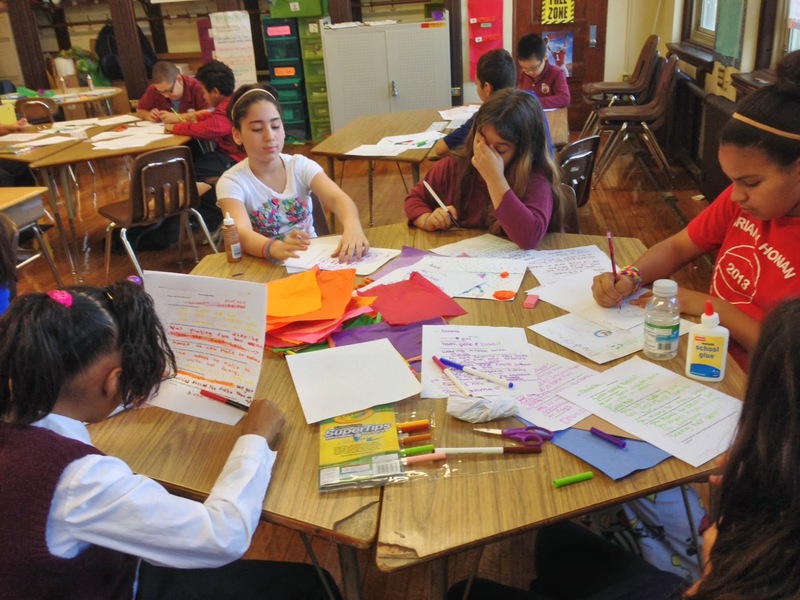 Teaching Artist Carl's 4th and 5th grade class at the GPA is working on creating hero stories! They have been writing out the story of heroes they imagined themselves. They have had to come up with their heroes' origins, powers/abilities, personalities, and families. Some questions they were asked: What makes a hero? What does a hero look like to you? What characteristics do you think heroes must have? Where are heroes from? 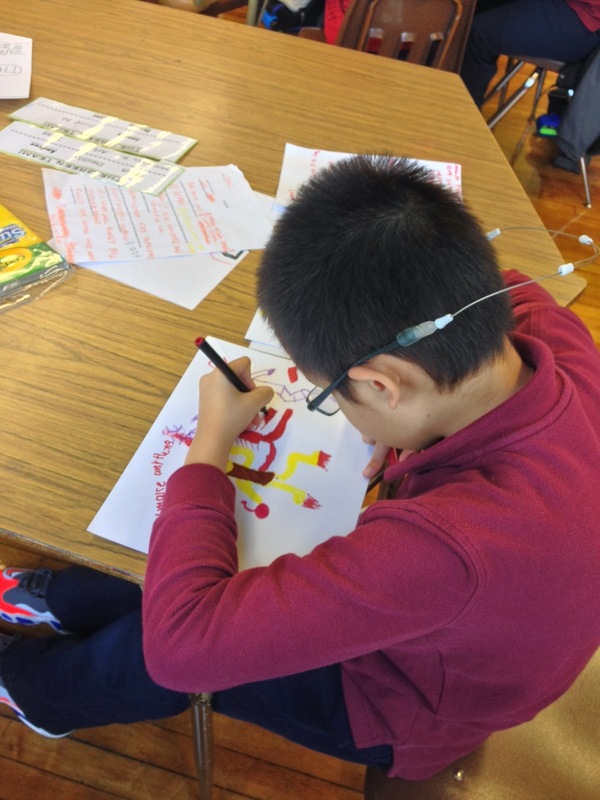 The students were hard at work today illustrating scenes from their stories so far. We can't wait to see the final project! 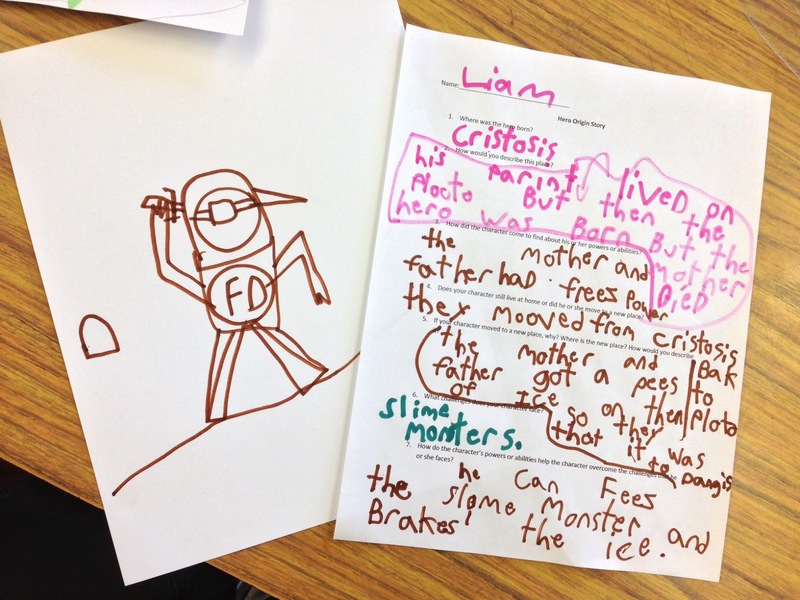 Liam's hero has the ability to freeze evil doers! His origin story was very thoughtful. This table chose some heroes from real life to write about a draw! Some of their heroes include Selena Gomez and David Ortiz from the Red Sox.